As an experienced teacher, you have been selected as someone who models effective teaching and who is willing to mentor a beginning teacher. We hope that you and your teacher candidate will both benefit from the support, feedback, and interaction – the rewards of a good advisor-advisee relationship. This blog provides guidelines, advice, and FAQs about the teacher education program, as well as forms and templates relevant to your role as a School Advisor. Thank you for agreeing to be an advisor to a teacher candidate in the UBC Teacher Education Program. The benefits selection period is now over. If you have any inquiries, please contact Rod Brown (Elementary & Middle Years Program Coordinator) or John Yamamoto (Secondary Program Coordinator). To redeem this offer, make your selection and complete the form as soon as possible. 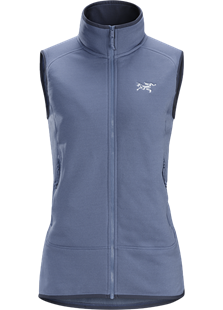 As we are past the December 31, 2018 deadline, stock may not be available in all sizes. To redeem this offer, make your selection and complete the form before December 31, 2019. Tuition fee certificates are valid for two years from the issue date and are fully transferable to colleagues or immediate family members. School advisors who do not request a tuition fee certificate are eligible to receive a gift from the Faculty of Education. 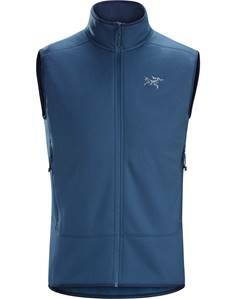 This year, we are offering an Arc’Teryx Kyanite Vest (approximate value: $180). The pictures below are examples and actual colours offered will vary.